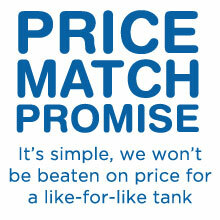 Ecosure have now released their new water tank holding 350 litres. This new slimline is designed to fit into most tight spaces. Slim in design, the 350 is ideal for storing water tight spaces. 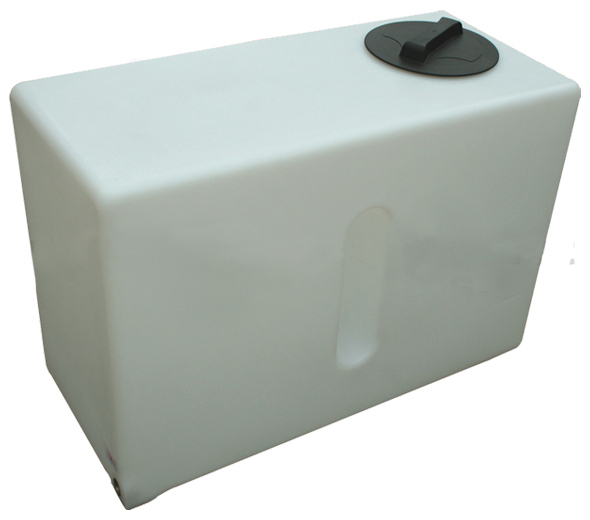 The 350 Litre water tank is also ideal for car valeters and windows cleaners as the baffle in the middle of the tank makes it safe for transportation in the backs of vans. Like other baffled water tanks, the 350 litre is semi translucent, which is perfect for seeing the water level of your tank. 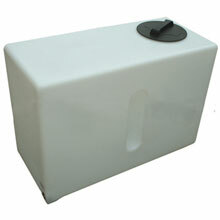 Small, ultra thin water tank ideal for sliding under windows. Fitted with an 8" vented lid perfect for installing a submersible pump. Comes pre moulded with a ¾" BSP brass outlet with is perfect for attaching a brass tap. Can be used as an overflow of a larger tank.